Charming Rock Creek home with a touch of modern updates. New stainless steel appliances, granite countertops new paint throughout. Newly refinished hardwood floors and new carpet. This spacious - clean home shines with refinished hardwood floors throughout the main level. Large conforming bedroom on the main level also works great as an office space. This large and unique floor plan offers 3 bedrooms upstairs with a loft overlooking living room area. Close to Eldorado K-8 School (BVSD) and open space trails. The community pool is only a couple of blocks away. South On McCaslin From Hwy 36. Left on Coalton Rd at Round-About. Right On Rock Creek Circle. Right on Castle Peak Ave.
Wildflower Park - amazing 12-acre park includes a net climber play area, year-round restroom building, regulation size basketball court, sand volleyball court, two park shelters with picnic tables, bike racks and group grill, 90’ zip line, slackline posts, climbing rock with embankment slide, swings, walking paths, game tables, bocce court, outdoor fitness equipment, and dedicated parking spaces. South Pool - features a heated leisure pool with a slide and mushroom fountain, heated children’s wading pool with an area for lap swimming. 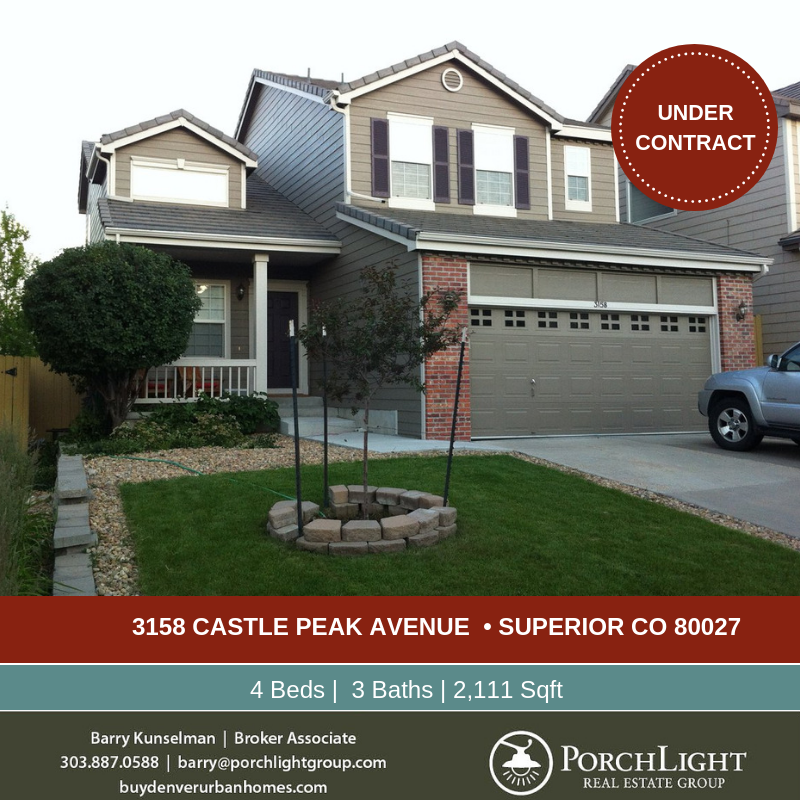 Contact Barry at 303.887.0588 to see this 4 bedroom house in Rock Creek Ranch or other homes for sale in the Denver Metro area.